FUNCTION FOLLOWS FORM at the Rigid String Level, with a Pairing-Splitting Dark Matter Black Hole . 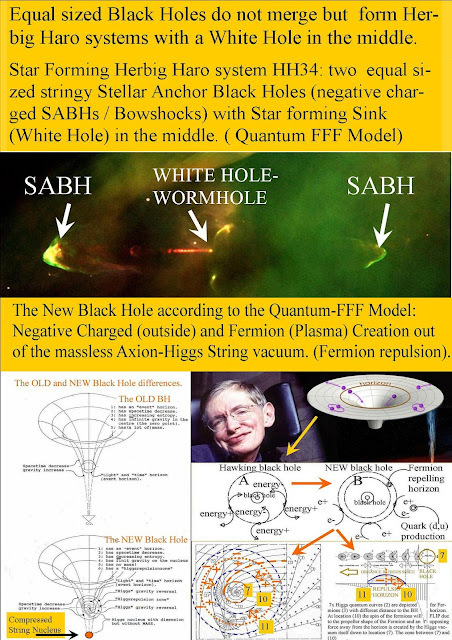 : Evidence for a Fermion Repelling New Physics Black Hole. Evidence for a Fermion Repelling New Physics Black Hole. Evidence for a Fermion Repelling New Physics Black Hole inside Herbig Haro (HH34) Bowshock ! 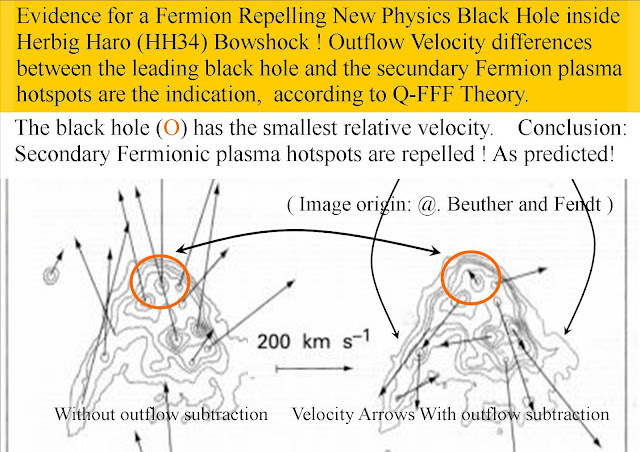 Outflow Velocity differences between the leading black hole and the secundary Fermion plasma hotspots are the indication, according to Q-FFF Theory. The black hole (O) has the smallest relative velocity. Conclusion: Secondary Fermionic plasma hotspots are repelled ! As predicted! The Dark Matter Big Bang Nucleus Splitting.